Hello everyone, I hope everyone is having a wonderful afternoon. I am a college student who is Majoring in Computer Information Systems. In one course, we have a group project that covers the whole SDLC, and we are actually creating a new system. We're creating a e-commerce website that runs on a MySql server. 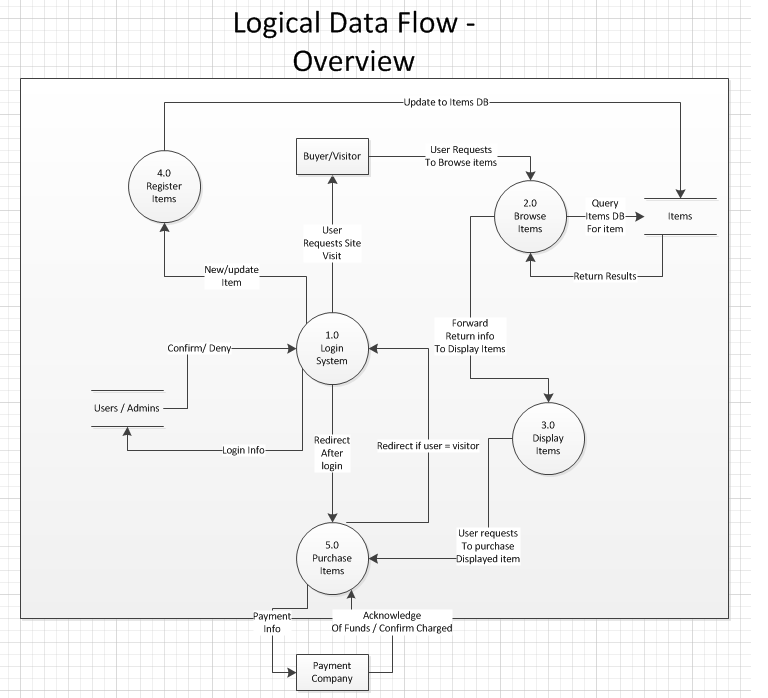 We are still in the Design phase, with a little but of coding work being done right now, but I was curious if I could get some input on how I change a logical data flow to a physical. My disdain for DFD's at this point aside, I'm having trouble just getting ideas on how it changes and all. I do understand some of the simple changes like "payment info" would be changed to more like "credit card, debit cart, paypal link" and formally naming some of my DB's or files, but whats hitting me is changing processes. Not asking for anyone to do my work for me, just ideas and suggestions. Thanks for reading and any assistance you provide. Is there a website where you can store large amounts of data for free?